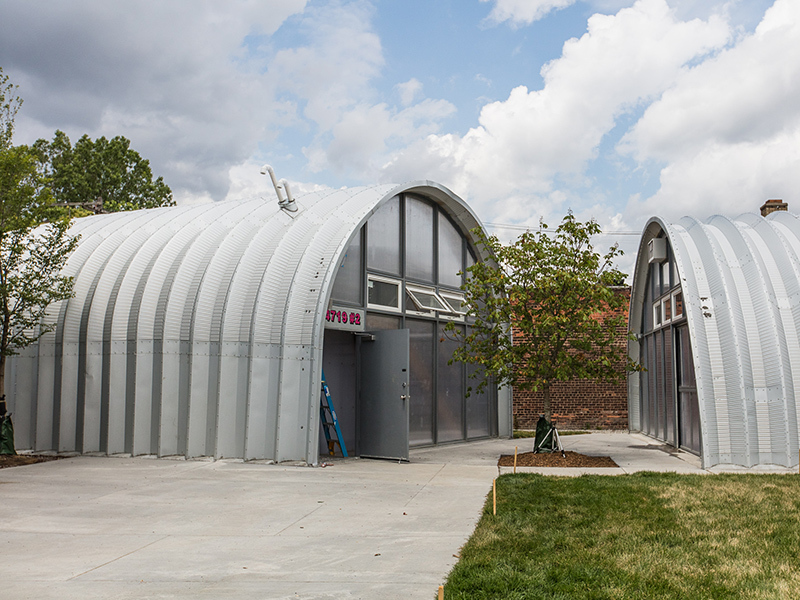 A Quonset hut village called True North is a new alternative housing project in Detroit, Michigan. NFE provided professional land surveying and civil engineering services for this 7,500-square-foot residential development. The work comprised of boundary and topographic surveys, demolition plan and site plan, including utility design. NFE was also retained to provide construction staking services. True North is located at the corner of 16th Street and Hancock Street, northeast of Downtown Detroit. 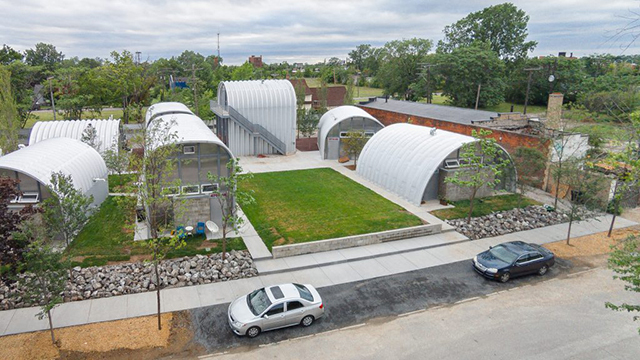 The 8-unit housing project features Quonset huts which are half-moon shaped structures whose walls and roof are made of corrugated steel. The nine live/work rental units have full utilities, bathrooms, kitchens and security measures. 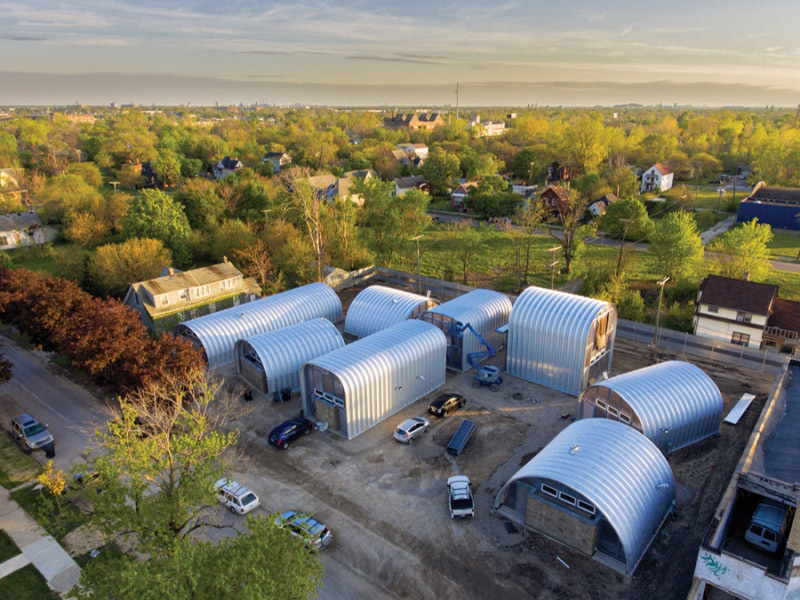 True North received an honorable mention in the 2017 Progressive Architecture Awards from Architect magazine. NFE is proud to have been part of this unique, award-winning housing project.